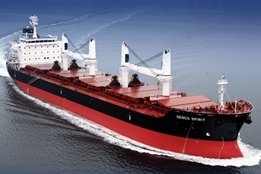 Scrubber advocacy group Clean Shipping Alliance 2020 (CSA2020) says it has attracted four new members. The new members are Genco Shipping & Trading Limited (New York, USA), Hammonia Reederei GmbH & Co. KG (Hamburg, Germany), International Seaways Inc. (New York, USA), and Chandris (Hellas) Inc (Piraeus, Greece). Launched in September with founding members that include several industry big hitters such as Carnival, Oldendorff, Cargill, and Trafigura, the group was formed to challenge a growing public backlash against the technology. Last month, former IBIA CEO Ian Adams was appointed as its Executive Director.